Well, that does it, everybody. We've now finished talking about our favorite reads of 2014. The question now is, what do we think about each other's lists? Sister Mary Murderous: My question is whether you all would be willing to pay for the therapy I need to kick this book-buying habit. Your lists have sent my addiction into overdrive. 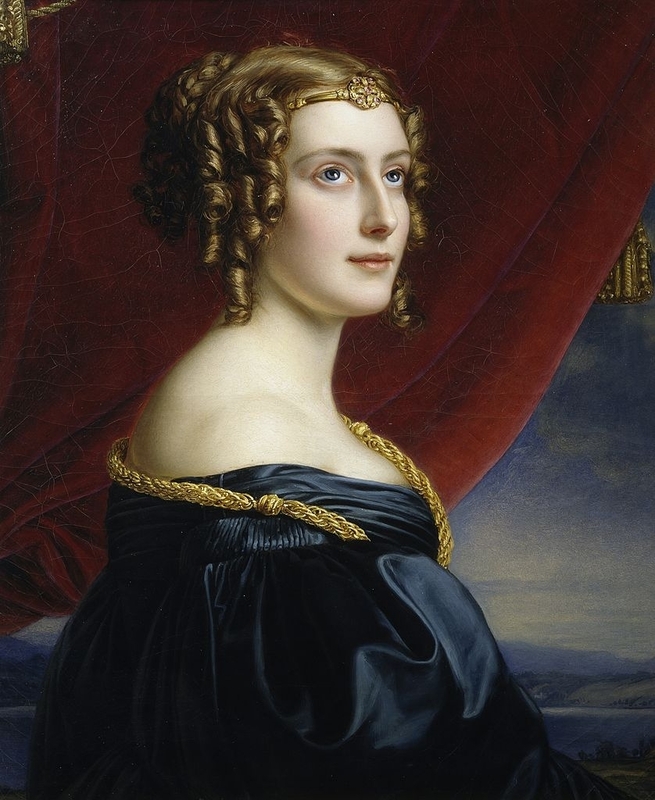 I'll start with Lady Jane Digby's Ghost's list. She posted with us here about some of her favorites, so I'd already sent away to the Book Depository to buy Nigel Williams's Unfaithfully Yours. I read it a few months ago and it's a terrific book. These former friends are just so nasty to each other. It was a lot of fun to read, but I sure hope I never meet anybody like these people. LJDG's recommendation here of Ben Elton's Time and Time Again had me downloading the audiobook almost instantly and I listened to it last month. It's now on my list of favorite time travel books and I keep thinking it would make a heck of a movie. I wonder if there's any chance of it? "I'm putting Crooked Heart on the shelf of my most treasured books, between I Capture the Castle and The Pursuit of Love. . . . I couldn't love it more." Here's the thing. I love Nancy Mitford's The Pursuit of Love beyond all reason. It is the book I reread whenever I need a combination of comfort and laughter. I have bought multiple copies of it over the years so that I can always have an extra on hand to give away. So to hear of somebody else who loves it and who puts this on the same level, well, that's just electrifying to me. Third, I sneaked a read of the first few pages and I can tell this is going to be at least very good, and maybe great. A Short Gentleman sounds right up my alley, too. Something about LJDG's description made me think of Robert Glancy's Terms & Conditions, which was one of my favorite reads last year. So there it goes, onto my TBR list. It's almost a relief to me that there was one book on LJDG's list that I didn't like nearly as much, and that's Audrey Magee's The Undertaking. I can definitely see why people liked the book, but the flat characterization didn't work for me. I think it could spur a very lively book group discussion, though. Because of the Maltese Condor, I have almost every Andrea Camilleri book there is on my shelves. I haven't read them yet, but she gets me every time with her descriptions. So far, I've been able to resist her recommendations of Ann Cleeves's Vera Stanhope series, but my resistance crumbles a little bit every time she writes about them. Curse you, MC! At least I have the satisfaction of having previously read her P.G. Wodehouse and Robertson Davies recommended books, so I get to just nod and agree. And not have to spend any more money. Della Streetwise grabbed me right from the get-go, with her description of James L. Cambias's A Darkling Sea. I knew this was a book for my sci-fi reading husband. Luckily, I was able to get it from the library. I was also able to keep the expenditure on Lily King's Euphoria reasonable, since I got the audiobook on a daily deal. I had met Lily King a couple of months ago, when she spoke at my local library. She was a charming, funny and warm speaker. She talked a lot about her writing process, which is always so interesting to a reader, but I think what I liked best was her story of how she came to write the book. A friend of hers told her that a favorite independent bookstore was closing and selling out its stock, and asked King to go with her to buy books. When they got there, though, nearly all the books had already been sold. King felt she should buy something, and picked a biography of Margaret Mead, the famous anthropologist. Reading that book inspired her to write a completely different type of story from her previous novels. Although I thought Lily King was delightful, a novel based on the real-life love triangle among Mead, her husband and another anthropologist while they were all doing field work among tribes in New Guinea just wasn't a subject that interested me. But then the book kept winning awards, people like Della put it on favorites lists, the audiobook went on sale––well, I had to read it. And I was mesmerized. This is another one that I think will be extremely popular among book clubs this year and will lead to some excellent discussion. I know I'm going to suggest it at my next book club meeting in a couple of weeks. My first question for a book group would be what they think of the choices Lily King made for her characters that differ from what happened in real life. Between Georgette and me, our Venn diagram sets of reading interests don't overlap all that much, but we do share some of the same enthusiasms, a lot of the sci-fi books she recommends have gone over very big with my husband, and she can always make even a book I'd never consider sound like mandatory reading. And I really like it that I've come to know her tastes well enough that I can spot books that I know have her name all over them. I knew A Brief History of Seven Killings would be for her, so I'm feeling pretty good that here it is on her list. As a kid, I could never stay in the room if Twilight Zone was on, so there is no way I will be reading a story like The Killer Next Door, in which "there's a grisly reason for the bed-sit's bad drains." Nuh-uh. Not gonna happen. But the instant Georgette told me about The Slaves of Solitude, I bought it. And now she mentions A Far Cry from Kensington in the same vicinity, well, woo hoo. By the way, if you've never read A Far Cry from Kensington, you should rectify that. 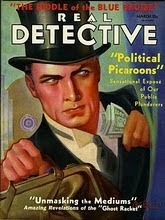 And if you're an audiobook fan, I enthusiastically recommend the audio version, read by the marvelous Pamela Garelick. Matt Damon on Mars. Oh yeah. Georgette also recommended The Martian for my husband, and he thought it was not just terrific entertainment, but inventive––in a genre not always known for its originality. Did you know it's being made into a movie starring Matt Damon? Now that should be fun. Speaking of movies, "cinematic" is what I thought of when I read Lenny Kleinfeld's Some Dead Genius. Among other things, there's a certain scene at the Art Institute of Chicago . . . But I'll let you find out for yourself. Unfaithfully Yours doesn't look like my kind of thing on the surface of it, but I'll be reading it because I have fallen for the fabulous cover. I do that a lot, and over the years it has served me well. Well, I am going to take it for granted that some of last year's best books of these discussions will likely be on my 2015 list of great reads. One of my favorite Christmas gifts are those lovely Amazon gift cards that I have already put to use as I read my compadres' lists of favorites. I grabbed a copy of Tony Parsons's The Murder Man (the UK title; The Murder Bag is the US title) when Sister MM first discussed it and I think it will be a great way to keep me warm on one of these frigid January evenings. Robert Galbraith's second offering in the Cormoran Strike series is also a book I have been looking forward to. I am happy to hear that Sister found it an improvement over the first story. Harry Bingham’s Talking to the Dead made me a fan of Fiona Griffiths as well, and I can’t wait to read Love Story with Murders. 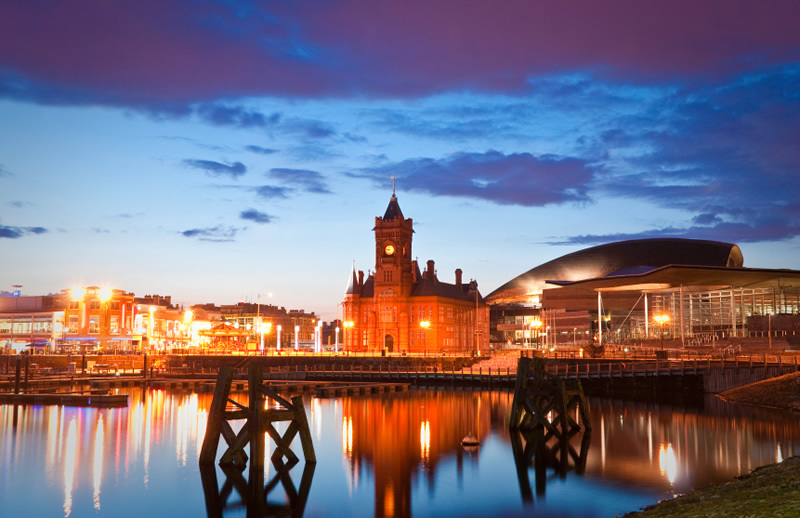 The Cardiff setting also intrigues me. I have read only a few books based in Wales and it is a part of the world with a distinct flavor all its own. I don't choose my next read in any predictable way. It seems that I generally just get a feeling about what will suit my mood after I have digested the book I have just closed. While there are great novels being published daily, there are so many authors from the past who also call my name. So LGDG's recommendation of authors Daniel Friedman and Richard Rosen sent me on a search for the first in both of their series, and Friedman’s Don't Ever Get Old called back. After I read that one, Don't Ever Look Back will be next. Then I’ll probably read Rosen's Strike Three, You're Dead, which features a retired baseball player during those spring training days in the spring. Della always recommends an eclectic selection of books ranging from wild times in other worlds to out-of-the-way corners in this world. I think Sister MM's idea of listening to Euphoria by Lily King is something I'll do as well. But Foreign Gods Inc., about a Nigerian cab driver in New York City, sounds fascinating. When Georgette first mentioned Lila by Marilynne Robinson, which is last of the Gilead trilogy, I vowed to dust off my own copy of Gilead and finally crack the cover. It sounds like a memorable book. All I need are a few snow days to spend with some hot cocoa and a book. When I was young, some of the most harrowing books I read were those true-life stories written about World War II. To this day, the words "Bataan Death March" give me chills. I don't know how The Narrow Road to the Deep North, about the work on the Thailand-Burma Death Railway, will affect me all these years later, but I would like to give it a try. Celeste Ng's novel, Everything I Never Told You, is on hold for me at the library. The title intrigues me and family dynamics are always an interesting subject. I can't wait to get started. Georgette and Della will be here in a couple of days to share their thoughts on our year-end lists. 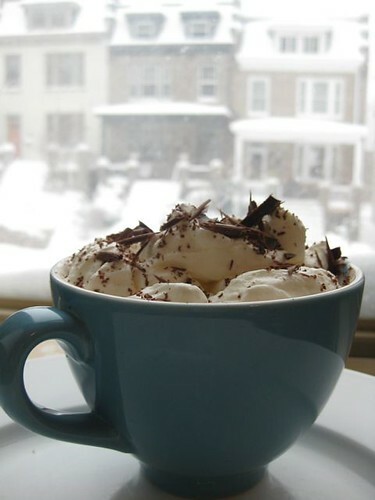 In the meantime, make a nice cup of hot chocolate and have your own snow day, whatever the weather. Sister, props on those Venn pies! Our reading tastes overlap enough for me to be excited about Lissa Evans's CROOKED HEART. I, too, love THE PURSUIT OF LOVE, but also I CAPTURE THE CASTLE. I probably have several copies of that book floating around my attic. I'm very excited about the upcoming film based on THE MARTIAN. Matt Damon! I can't think of a better choice to play abandoned astronaut Mark Watney. I agree, MC, THE MURDER BAG needs to be read.